This unassuming little book turned out to be much more complex and touching than I had expected it to be. 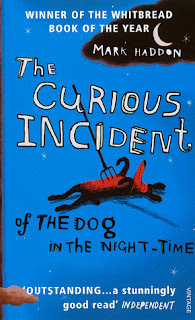 It starts as a detective story: Christopher finds his neighbor's dog killed with a garden fork one night, and being a fan of Sherlock Holmes stories, he decides to find out the truth. Christopher is really good at deducting, so he would be perfect for the job, if only he was not afraid to talk to people because he has Asperger's. I don't know if the author has some first-hand experience communicating with people who have Asperger's, but it certainly seems so. At the very least the book is very well researched and rings true in every sentence. Christopher's train of thought is totally alien and fascinating, but it also makes a lot of sense if you think about it. I don't wonder someone like him has problems communicating with people, we're indeed weird, unpredictable and too grabby. And the book also shows people who are OK talking to Christopher, and it doesn't take that much - just a little patience and consideration. I surely think that even if Christopher won't be able to become an astronaut as he dreams, at least nothing prevents him from getting a degree and becoming a scientist. I believe in him! 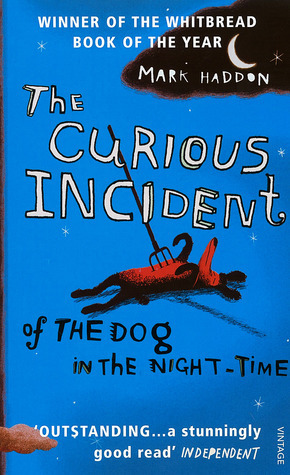 In my book: The Curious Incident of the Dog in the Night-Time is a very touching and true-ringing novel, that will not leave you unaffected. I agree with you that it rang really true, except that I thought the way every official person didn't realize the obvious, that they were dealing with a kid with some sort of autism, was weird and unrealistic. Surely IRL *somebody* would realize. Well the book is from 2003, maybe people were less educated about this then? Especially in rural areas. Also, there are so many prejudices against people acting weirdly in public places, most people just try to stay away. Yeah, I don't know. 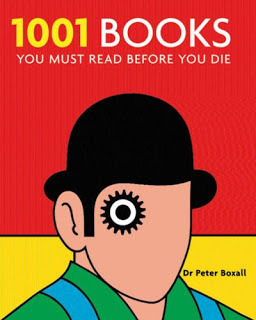 I read it sometime back then, not in 2003 but not too long afterwards, and I thought that then. And I *do* live in a more rural area, though not in the UK....I dunno, it was just something that struck me.